I finally made it out of my artist’s block! I was snowed in this weekend (and nursing a concussion I got snowboarding in Utah earlier this week) so naturally I sat down and stared at a canvass until something happened. If I can’t be playing in this epic snowfall, I might as well paint an ideal snowscape and escape mentally. The main goal with this piece was to capture movement with a static environment. The brush strokes were done in a way to imitate the route and turns a skiier/rider would be taking so even though I couldn’t physically be snowboarding, my brain and hand were. 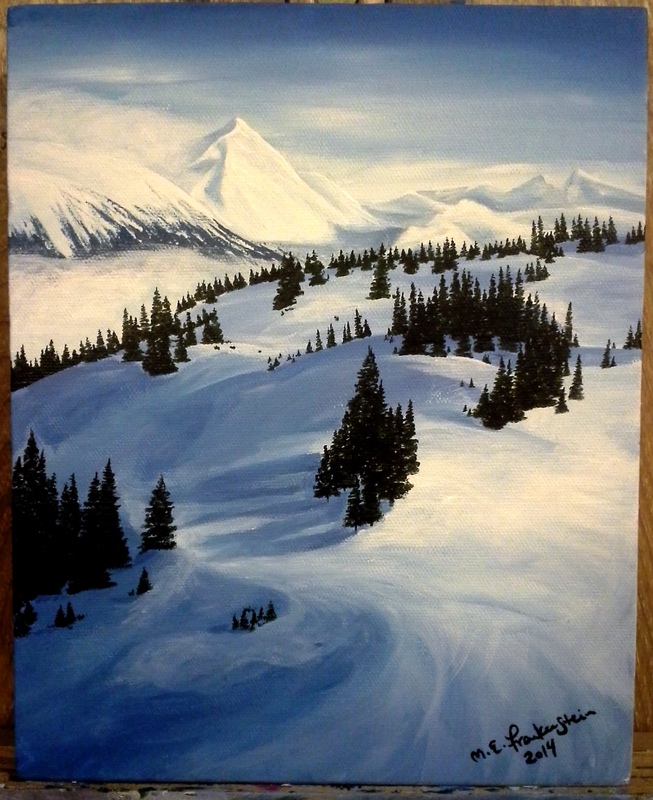 This entry was posted in Across the Divide and tagged Acrylic, backcountry, blue, mountain resort, mountains, painting, Ski, Snow, snowboard, snowscape, trees, whistler. Bookmark the permalink.